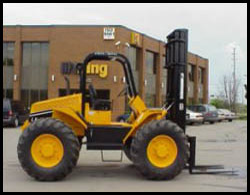 Quality and reliability are the hallmarks of the most popular Liftking vehicles; the "M" Series rough terrain forklifts. 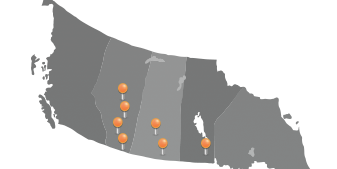 All Liftking forklifts are backed by an extensive North American network of technical service support and expertise. 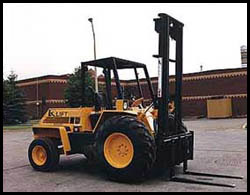 Manitex Liftking manufactures a complete range of Straight Mast Forklifts with capacities from 6,000 to 50,000 lb. and lift heights from 10 to 32 feet. All Manitex Liftking Straight Mast forklifts feature exceptional ground clearance, easy access to service points, ergonomic controls and easy operation. All P-Series forklifts feature excellent visibility in all directions for improved safety on the job site. The P-Series forklifts offer a flip-up engine cover for easy access during maintenance. Controls have been carefully placed for ease of use to maximize operator productivity. Ergonomically designed with 360-degree visibility. Optional all weather closed cab with sound insulation, defroster fan, heavy-duty heater, ergonomic controls, sliding windows, and removable doors. Fully enclosed and protected electric and hydraulic systems. The P Series forklifts have a sliding hood for easy access during maintenace, and house a Perkins Turbo Tier 3 emissions compliant diesel engine. 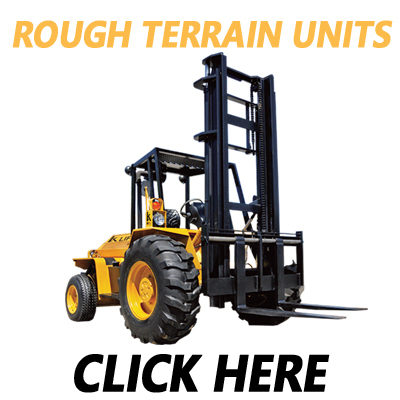 Tight turning radius with exceptional ground clearance. 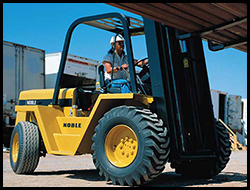 Noble "R" Series forklifts offer leaf spring suspension with ruggedness and capability that customers have been accustomed to for decades. Leaf Spring Suspension: Offering superior comfort and load control. Manitex Liftking Dynaluggers are high-capacity Telescopic Handlers specially designed and built to handle heavier loads. These strongly built vehicles can be used for a variety of applications, including forestry (pulpwood, saw logs, short wood, tree length, lumber, sawdust and chips), pole handling and pipe handling. The Dynalugger family of log and lumber handlers provide versatility with the cost-saving performance of telescopic boom loaders. The Dynaluggers are not a machine; they are a complete system to fit your handling needs. 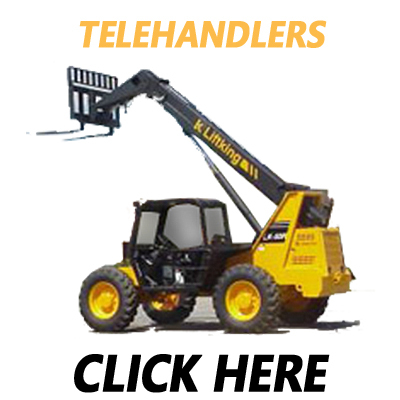 An easy-to-use, quick-attach mechanism lets your operator disengage the log grapple or forks and attach a wide assortment of carriages and buckets for handling logs, lumber, poles, chips, sawdust and other large bulky material. All Manitex Liftking Dynaluggers offer a maximum comfort for the operator. The cab (open or enclosed) offers suspension seat, excellent visibility in all directions, and carefully located controls and joysticks to maximize the productivity of the operator. The LK 150R is equipped with an enclosed cab, complete with heater, defroster fan, front and rear windshield wipers, ergonomic seat with seat belt, two-piece door. The side mount cab provides the operator with high visibility all around . It also allows an easy access to the operator compartment. A wide variety of attachments - such as buckets, man baskets and pole grapples, pulpwood grapples and fork positioners are available to make LK 140R a more versatile forklift.